Since the beginning of the 21st Century there has been a rapid increase in our understanding of the cellular trafficking mechanisms of molecular chaperones in eukaryotes and in prokaryotes. In the former, molecular chaperone trafficking can occur between the various cellular compartments, with concomitant movement of other proteins. Such events can also result in the release of molecular chaperones from cells. In bacteria, molecular chaperones are involved in the trafficking of other proteins and are themselves released into the external milieu. The increasing appreciation of the role of molecular chaperones and Protein-Folding Catalysts in the interplay between bacteria and the cells of their hosts is now an important area of research for understanding the mechanisms of infectious diseases. 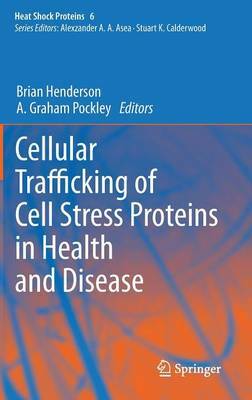 This volume brings together experts in the biochemistry, cellular biology, immunology and molecular biology of molecular chaperones and Protein-Folding Catalysts with a focus on the mechanisms of cellular trafficking of these proteins and the role of these variegated trafficking mechanisms in both human and animal health and disease.